It’s time to don those party hats and celebrate in style as Hampergifts turns 10 years old this October! To celebrate our milestone we have an awesome Grande Hamper to give away. Worth over £100, it’s packed with punchy preserves, wonderful wines and creamy chocolates. If you’re looking for the perfect present, or want to indulge in some luxury treats, simply tell us why you deserve to win this generous Grande Hamper. Enjoy a pre-Christmas blow out with crackers, chocolates, cakes and wine! This hamper lives up to its name, with award winning contents including a Crusan Grenache-Merlot and some Cottage Delight fruit marmalade packed with Scotch Whisky. This really is the ultimate luxury hamper, perfect for two to share. Click here to check out the full content of the Grande Hamper. Select your choice of the Grande Hamper with the Rafflecopter widget below. Complete your entry by leaving a blog post comment explaining why you deserve the Grande Hamper. The competition will close at 12 noon on Friday 30th October. One winner will be selected for the Grande Hamper. 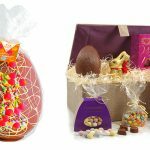 Click here to see our most popular hampers. I would love to win the grande hamper for my husband who has been diagnosed with cancer &having a major operation. It would cheer him up. As I live in Spain but all my family live in the UK your company is the answer to my dreams I can send them hampers suitable for all occasions,not only Xmas but birthdays, weddings,new babies etc. I’d love to win the Grande Hamper and share it with my family, I think we deserve it after some stressful times recently. The Grande Hamper cos I’m worth it. I’d love the Grande Hamper, looks delicious and would certainly brighten up my day! The Grande Hamper, as it looks like a Wonderful treat for sharing with family and friends. Wines and beers! It’s coming up for the festive season and it would make me jolly for sure!! I deserve to win this hamper so I can relax for a change, and I can have family round and we could all enjoy it together. I have been very busy at work and not had time to relax and enjoy my family. The Grande Hamper contains luxuries all of us can enjoy. Looking forward to trying some of the award winning Crusan Grenache-Merlot wine and also some Wild Boar Pâté. Maybe I don’t but would still like to win and have a cheeky evening of inducement! Love the Grande Hamper such a fab selection for all tastes and to share. The Stratford. I’d love to give this to my mom. I pay her to clean my house so this would be an awesome Christmas bonus!! Happy 10th birthday to all at Hamper Gifts. Oh, my! 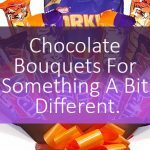 I’ve checked out your most popular hampers and can see why they fall into that category. I actually can’t see one that I wouldn’t be thrilled to receive but the Grande is fabulous! Why do I deserve it? I couldn’t possibly claim that I deserve anything classy and delicious like the Grande as I haven’t saved a life, painted a masterpiece, discovered a solution to global warming or anything worthy of recognition. Every day, though, I set out to be a good family member, friend, neighbour and citizen. One of my challenges is to make people smile so, when I walk to the local shops, I always smile and say hello to people I pass whether I know them or not. Even if they have their heads down, they usually respond in the same fashion! Spreading cheer in this small way is infectious and uplifting – well, I like to think so, anyway, so I’ll keep trying. I would love to receive any Hamper, as I love to be surprised by unusual things to eat and drink….of course I would share some of the goodies ! I deserve this as I have had nothing but rotten luck for seven years’ and it’s high time it changed. It would have to be the grande if that is the biggest and best. I have been working hard and paying off debt. Keen on winning The Grande Hamper so I can give something back to my parents for looking after me through tough times health wise. It’s a token of my gratitude and a gesture to show I care. deserve a rest and a festive treat. The white Christmas Hamper looks great and luxurious – they all do really! It would be lovely to treat my elderly parents and their neighbours – would brighten up their day. I deserve the Grande hamper (or the Christmas Celebration hamper if we have to choose a different one for this answer) because it has so many delicious items which would be great at Christmas reducing the amount of shopping and worry allowing me just to worry about the visitors at Christmas. Wow wow wow! I think this looks fabulous – the wild boar pate is right up my street – and so many Award Winning products packed in there! Impressive! I’m not sure I deserve it but I would definitely share it with my wonderful family who do everything they can to help me work, taking the kids to school and being amazingly supportive! I like the Christmas hampers, would make great presents, especially for the cook in the house. The Christmas Grande is packed full of tasty treats and after cooking dinner for 12 on Christmas Day I would be in need of some treats! I think I deserve a hamper as I don’t get many treats on a tight budget, I would love the Christmas Collection to bring some festive cheer! This last year has been pretty rubbish; illness, no work, etc. etc. but I’ve managed to remain cheerful throughout and keep everyone chirpy and now that things are starting to improve I think I deserve a bit of a treat and this Grande Hamper would be just the ticket. It would be perfect for me to share with my on-the-mend husband, gorgeous daughter and lovely mum. It would also save me a bit of money! I Deserve the Grande Hamper because my first job would be to Invite all the People who look after me to share it !! Happy Festive Season to all of you !! I deserve this hamper as I’ve had a very rough couple of year and the hamper would be a brilliant way to celebrate my all clear with friends and family. 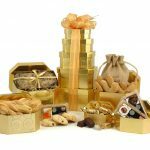 The Christmas Grande Hamper would be my choice as it’s truly luxurious with every treat we’d need for a VERY Happy Christmas now my husband only works two days a week. I deserve the Grande Hamper because there is so much to make our families’ Christmas more exciting. I always do my best with food and games but I suppose this would just add a few treats which is something that is lacking from ours. The Classic Retro sweets please just because I am a big kid. I would choose The Christmas Grande Hamper and have it sent to my mother-in-law who deserves a treat or two as on a state pension she just buys the essentials. Grande hamper is the best , I could make so many people happy by sharing it. I would love the Christmas Grande please. We have had to make major lifestyle changes due to my ill-health ( I have motor neurone disease) and my hubby has now become my full time carer. It would be a fabulous surprise for us to receive a lovely hamper to help celebrate Christmas with the family. Would love to win the grande hamper cos it looks yummy. I think i deserve to win cos i work full time while looking after my son and also i will be working xmas day this yr so would actually love to take it to work to share between me and the 2 other girls that will be working before i go home and have a fantastic xmas dinner cooked by my husband. I’d love to win the Grande Hamper for my Mother in law. She always cooks Christmas lunch and spends her time looking after her grandchildren while I work. She’s been on the local Village Hall committee for over 30 years and really deserves an extra special treat! I’d love the Christmas Grande Hamper – as it includes everything! Looks amazing! I have had a really long year work wise, this would be a perfect pick me up as I relax this christmas! Deluxe Christmas Ruby would be my choice as I will have been engaged for a year and my ring has a hidden ruby for happiness and it is my birthstone too. I derserve to win the Grande Hamper coz although I’m sometimes ‘hampered’ by my busy family days, I’m totally ‘crackers’ about them and never ‘wine’ at their untidy ways! We have had a tough year, things are just starting to get better and a Grande Hamper would be a great celebration of that. The Grande hamper would be a perfect gift for my in-laws – who have had to put up with me and my partner for the last few months while we have been house hunting! A lovely way to say thank you! I would love to win the hamper and look forward to sharing it with my daughter when she comes home from Uni as missing her hugely! I would love the Grande Hamper as it is pure luxury and my daughter is coming over from Australia for the first Christmas in 6 years. I want it to be a very special Christmas and this would help me create that perfect day. Thank you so much for the chance. I’d love to win the grande hammer, to share with my amazing mother in law! She deserves it! She’s done so much for my husband, myself and our children, from day one, to now, always been there when we’ve needed her, emotionally, physically, financially. And is always so calm and patient. She never has time for herself between caring for her 91yr old mum, us and her other grandchildren, and her house. Yet she never moans. One in a million! I deserve the Grande Hamper because I’m a decent and honest person who’s just trying to get ahead in life. I have a soft spot for great quality food products and I believe that I can (and will) do this hamper justice by eating and indulging my self with each product and savoring each & every last drop and crumb of this fabulous hamper. Thank you. I love the Grande Hamper because it looks magnificent and would provide some fabulous treats to enjoy with all the family. I stay sober all year round so that I’m always on call if my family need me so I would like the Christmas Wine Hamper just to let off a little steam for once – I’d love it. I quit smoking!! (I know that its rewarding enough in itself) but it was really hard work and I still get tempted 3 months in. The Stratford Hamper looks ace..it oozes class!! I would love this Grande Hamper – it would make our family Christmas extra special! Winning The Grande Hamper would mean something to treat myself for a change rather than putting everybody else first. The Christmas Hamper sounds incredible as well and would certainly make Christmas extra special. I don’t deserve it, but my dad does, after a really rough year (I’m not going into details here). I’d love a Christmas Grande hamper to treat him to a grand Christmas! This year my eldest son has returned home after a divorce. His three children stay with us three nights a week. After travelling for four years my youngest son has also returned home. I love them all, but I am exhausted and I definitely deserve Grand hamper. I’d love to win the Grande hamper to share with my family over Christmas!! I would love to win this hamper as I am organising my first ever charity event in aid of Marie Curie and Butterwick and catering for 120 people so every bit of the lovely hamper would be put to good use. I’d love this hamper, it would be going to a new mummy who is exhausted and deprived of lush stuff to look after my prem baby who has just been allowed home (yay)! Now nothing compares to this man cub coming home, but it may just cheer me right up to see it waiting for me every time I go in the kitchen for yet another bottle or medicine run! I would love the Grande hamper as a treat for the whole family for Christmas. Every member of the family is deserving of a share as we’ve all had stressful, busy years. I would love to win this hamper to give my family the best Christmas ever. Thank you. I’d like this hamper because it’s my birthday on the 7th! I would love to win the golden tower hamper for my whole family to enjoy after a tough year. I deserve this hamper because I’d like to treat my parents to it. I’d love to win this hamper, I don’t deserve it any more or less than anybody else and wish everybody the best of luck. I work full time & visit my dad in hospital every day. I would choose the Champagne Breakfast Hamper as my mum deserves a treat! I’m addicted to sweets, so the Retro Sweets Hamper would be fabulous! I would love to win the bath time gift hamper. I love toiletries and trying out the different scents. I deserve the hamper because every year we put on a big Christmas dinner for up to 20 of our friends and never want anything in return…although this would help it go with a bang! as I am in need of a well earned pamper. I would take my time to enjoy the taste and know not one morsel will go to waste. I can’t say I deserve it in any way shape or form – but my wife certainly does!!! Not sure I deserve it but I know someone who does and I promise to share it with them. I would love the Grande Hamper. I had a very rough year healthwise and would love to win something as a little pick me up. I would share it with my partner because if it wasn’t for him I would have never made it through this year alive. He means the world to me and has been there for me every day. Because i have recently found out I am going to be a father for the first time!!! I`d like to win a Christmas Collection hamper because I`ve just been made redundant and the family festivities will be a bit miserly unless I get a stroke of luck like winning this prize. I deserve the Grande Hamper because its not for me, its a hamper my mum deserves and would adore! The Grande Hamper is my favourite. I deserve it as I have been stressed from house selling nightmares and this would save me the stress of planning for Christmas. I’m the one who deserves a treat after cooking the Christmas dinner – so I would choose the Christmas Celebration (and of course share it with all the family). I love the look of the Veggie White Christmas – as it would be a delight to get a hamper where I could eat everything 🙂 I’m not sure I deserve the Grande though – but I would take it to the animal shelter I volunteer at to make sure people who have worked super hard all year and are still working Christmas day can have a bit of a much deserved treat! I feel I deserve a hamper as it’s coming up to my one year anniversary of my first admin job. The hamper I like best is the Lindt Chocolate Gift Basket because it’s my favourite chocolate! I dont feel i’m any more deserving than the next person. I’d love to win for same reason as many as a nice TREAT 🙂 I would sure love the one thats the competition prize,looks jam packed with goodies! I would love the Grande Hamper so i could share it with my friends and family . I would love to win the Grande hamper because I have become a grandmother this year but sadly my beautiful new grandaughter lives in New Zealand so I haven’t met her yet! Therefore the. Grande hamper would cheer up this Grandmother! I deserve to win because I have a large family to feed, a family who enjoy treats and surprises.. I hope I deserve to win a hamper because as being a mum at home, as most mums with little ones are, I never EVER treat myself (feeling too guilty all the time) so this prize would literally bring tears to my eyes but even then, I would share it with my wonderful hubby and our little ones. Wow, so many beautiful hampers but, if I won, I would still choose Grande Hamper, there’s something for everyone :)! I love the Grande Hamper, it looks amazing for xmas, perfect for sharing around and feeding my family! If I won, I would take it with me at Christmas to share with my Inlaws and my Sister in Law and her boyfriend. This is our first Christmas as a married couple and this would be a very generous gift to share with my husband’s family. I would love the hamper because I am spending all my money on my dog’s medical care and Christmas for everyone else so I don’t get to treat myself anymore! Would make a fab treat to share w family and friends. Great British Hamper Tower looks nice and just think it will make the family happy. I’m no more deserving than anyone else but I can promise you that it would go to a good home! Our ukulele group would have a fab party! I would love the Grande Hamper – not for me but for my mum just as a treat as she goes through a terrible time with my dad who is in the final stage of Alzheimer’s. It’s difficult for all of us, but torture for her and seeing as I can’t make it all better, it would be nice to give her a gift to show how much I love her and am there for her. I have never received a hamper before and it would be a complete surprise and a luxury! I would be happy with any (chocolates are my favourite though) and I deserve it because I am a knackered mum of 4 who rarely gets anything for herself!! I deserve this fabulous Grande hamper as I’ll be hosting my family at Xmas this year for the first time in years and I need to make sure that all the gourmets in the family have some wonderful produce to enjoy. I would love to win the Best of British Hamper, it wouldn’t be for me but for my brother and sister in law who truly deserve such a lovely gift. I would love to win a hamper! I buy hampers for my friends and very special ones like the silver tower for my close family but I have never had one given to me! As a pensioner, living alone but loving life, it would be a thrilling experience to open up all those goodies and share them with my close family, especially my brother who I have not seen in 2 years as I don’t drive and he lives 250 miles away and can’t drive due to his health. How inviting they all look! YUMMY..!! I live in New Zealand and every year I buy one your wonderful Christmas hampers to send to my family in the UK to share and enjoy. And I never get to taste any of it! So I think this year I deserve to win your deliciously tempting looking Grande Hamper so I can share in the indulgence. I deserve to win this hamper as my daughters say I am legendary, the stories they tell their friends about me which makes them laugh. I would love to win the Grande Hamper because it has everything I adore, red wine and cake. i would love it to save it for boxing day around my mums house. The Grande Food & Drink hamper – not for myself but for my Mother in Law who has lost both her other and daughter this year and has had to fly between home and the USA all year to look after them. I would love to win the Grande Hamper. Looks a great collection of treats that I could share with all my family, thank you. I would love the Grande Hamper for my husband as I think he deserves a treat for recently receiving his MBE and all the hard work he has put in to it. I would love a Grande hamper for my friend Jane to cheer her up after a tough year , she is my soul tea sister and my best friend. The Grande Hamper please as it’s full of award winners. Do I deserve it? I like to think I do! I always think of others generally, so just once I’d love to be treated unconditionally to a hamper. It’s the one thing that is on my Christmas list each and every year but very rarely get sent one so would love one just for me one year. And that one would have to be the Noel for me I think as it’s all rustic, and non alcoholic so I could keep a clear head whilst indulging. That Lindt Chocolate Gift Basket was made for me – just for me, and for me only! It would be criminal of me not to offer it a home. I don’t think I deserve anything, I would love to give this as a gift. I deserve to win the Grande Hamper because I’d be generous and share it out with everyone I know. I would love to win the Grande hamper, I think I deserve because I am as generous as I can be to my friends and family and would definitely share this hamper with them because it’s ENORMOUS! I deserve to be selected as, as a a fan of the Stratford Hamper, I appreciate quality, style and the most perfect of flavours and it would be a reward for all the selfless acts of helpfulness I carry out for others……….. I would like the Chocolate and Nut Deluxe Hamper for my mum, who works really hard. The grande hamper looks so good. I deserve it because I work hard and no one is at home to take care of me. I would love the Christmas Splendour Hamper as my daughter and her family are coming for Christmas and it would be a lovely treat to share. Like you I hope to reach a major milestone this year. On Christmas Day I will have reached one year post heart transplant. I intend to visit the hospital on Xmas Day to celebrate this achievement and would share the Grande Hamper with all the medical staff there who played a part in saving my life and, more importantly, toast my donor. I would love the Tea and Coffee Break Hamper,as I’m a mum to a newborn and my husband works away. The Hamper would both cheer me up AND give me a much needed energy boost! I’m no more deserving that the next person but the Grande Hamper looks full of treats for myself and to share with friends and family. I work for a charity advising on debt on money saving so I like to think I make a difference in my work. I’d love to win the grande hamper or any hamper for that matter as for the last few years & including this year I order several hampers for friends & family for their Xmas gift and each time I receive them I’m tempted to keep one of them! but have resisted, so would love to actually receive one this year instead of handing them out. I’d love the Christmas Joy Food Hamper! It’s my husband who deserves it. He’s been through a lot of work stress at the moment and on top of that finished his degree so I am nominating him to be the receiver of the hamper if I was lucky to win! I would be grateful to recieve any hamper and would like to win because I am a disabled wheelchair user and in constant agonising pain every second of every day and winning a hamper would make my life sparkle a little bit and I could smile for a change. It would also be ideal to share with my wonderful carer too. I would love to present the Grande Hamper to my wonderful partner Rog who looks after me with lots of patience and love. He cooks, cleans and puts up with me! He’s worth his weight in gold and would appreciate some of the finer things in life as a spectacular treat. If I won I would love the Christmas Decadence. We buy one as a present for our son and daughter-in-law every year for Christmas. They live so far away that we never get the chance to even see it. I’d love to give this to my hubby to celebrate his MBE. I don’t deserve a hamper but my husband does. He was looking forward to visiting his mum who lives abroad – not having seen her for a year, and she passed away the day before he got there. I’d choose the picnic hamper, we like to have a ‘carpet picnic’ snuggle up and watch a film. I think I deserve it the most, I live in Canada and my Daughter and her family live in England (Birmingham) for different reasons we can’t reunite at Christmas and that will be the best Geste to express our wishing spending Christmas with them 2 grand kids (6 and 3) but I know that chocolate and wines would make a wonderful Christmas gift for them. I’d love to win it because it’s been a tough couple of years without being able to go visit my Daughter and it’d be nice to feel good about winning the Grande Hamper and send it to them. would love to be the lucky recipient of the Grande Hamper. It would give me great pleasure to be able to share it with my daughter and her kids. I don’t know if that really justifies me receiving! after payments is this a good way to treat people? I most definitely deserve the Grande Hamper as I will be throwing a Christmas party and I will be sharing it with my nearest and dearest! I would love to win the Grande Hamper as I never win anything and this looks absolutely fab. I would to be able to share this at Christmas with the family. I would love to win the grande hamper because I give my grandparents one of your hampers ever year and it would be lovely to give them this one. i don’t know if deserve is the right word but i would like to recieve a Grande Hamper as treats have been a bit thin on the ground since my husband first had a stroke and was then made redundant.I have been trying to find myself a job but they are thin on the ground too. But I’d love the Grande Hamper because I’m greedy! Of course I’d share it with my Mummy. All that’s left to say is Happy 10th Birthday to you! I deserve this grande hamper as I make Christmas dinner for the whole family every year! This would help immensely!! I would love to receive the Grande Hamper as it would be a fantastic way to pass to a local charity that could benefit from a fantastic raffle prize. For as long as I can remember, I have wanted to win a hamper. I don’t deserve to win this prize. My in-laws on the other hand do deserve this. I am entering with the intention of giving it to them. And what a stunning Christmas it will be! If i win a hamper i would like to gift it to my lovely aunt, she has had lung cancer twice and copes daily with COPD. It would be lovely to put a smile on her face. To be honest I am not sure that I deserve to win any more than anyone else. However, I would certainly like to win and would share with family and friends. I’d choose the amazing-looking Grande Hamper. I don’t deserve a big hamper but every year, my family comes together from far and wide for Boxing Day. My mum works very hard beforehand to prepare food that will suit everyone there, old and young, and barely sits down on the day ensuring everyone is watered, fed and contented! If I won a hamper, I would give it to her to help save her some time shopping and preparing treats so she has time to sit down and enjoy a glass of something tasty! Christmas wine hamper for my husband please! Ideas for my family and friends. Would love to win any hamper for me and my hubby. The Grande Hamper is filled with treats, for me and my family, to enjoy and eat. Hampergifts you’ve outdone yourselves, it’s beautifully presented, you clever little elves. I’ve seen other hampers in shops and online, but the Grande Hamper, by far is most fine. Your website is so tempting, a treat for everyone; but the contents of the Grande is simply my number one. If I win it will make me happy and if I don’t, I won’t be miffed. Either way I’ll tell my friends to visit your store, Hampergifts! I would like to win the Zombie Survival Hamper for my wife because by the end of my working week thats what she has to put up with! I would love the Grande Hamper it be just be a lovely end to the year to share with my Grown up family after a really horrible year and one that we would all love to erase from our memories. The Grande hamper would be amazing. The best way to celebrate the birth of our baby in December and her first Christmas with us. I would love to win this for my wife. She deserves it …for putting up with me! I deserve a hamper to get through my daughters secondary homework we could share and take a break!! I’ve always wanted to be given a hamper and I have been a very good girl this year! My favourite is the Royal because it is so full of delicious treats but any of the luxury hampers would be wonderful to share with friends and family over Christmas. I am entering this draw to win a nice hamper for my 10 year old granddaughter’s mum and stepdad. They have had to deal with the illness and death of their baby daughter because of Leukemia and although 2 years has now passed they are still going through the grief and sorrow of losing her. Nothing will ever compensate for the loss of a child but they do deserve a nice treat for Christmas. Thanks. any hamper would be lovely. I deserve to win because I have a free to all website, and I would give it to my friend, who has fallen on hard times. (Don’t we all). My friend would love the Royal Hamper. Thanks. I’d like this for my partner, who works hard all day then comes home and cares for me in the evening, she’s my life. I would love the Grande Hamper -1 of my best friends is visiting from Dubai after a year away I’d love a catch up feast. What a fantastic welcome home it would be! !looks awesum! I think my brother and his partner deserve the hamper, they have just moved into their first house and are busy redecorating it, sorting the garden whilst working 6 days a week! the grande hamper would be grand ! – mum and I hate food shopping so this would mean we could avoid doing a ” big shop ” for a couple of weeks ! Having moved house three times this year, my wife seriously deserves some recognition. I tell her how wonderful she is, but this would be fantastic and be a small way of saying “thank you” for being so patient and understanding with me. I deserve an awesome Grande hamper because it would cheer me up after all the health issues I’m dealing with! I think my husband deserves a hamper as this last year has been very difficult and he could really do with a boost. He is passionate about food and drink so ideal. I’m no more deserving than the next person but I have a stressful job as a debt councellor which can be equally rewarding and thankless. A few little treats for myself and to share with friends and family would be lovely! A little bit of everything in this hamper is bound to please every family, lovely prize, a treat as we don’t spend a great deal on luxuries. I’d love the grande hamper as ive just come out of hospital and it would be great to share! I deserve the grande hamper because I am 9 months pregnant and getting impatient to meet my baby! Looking forward to enjoying some forbidden treats once she arrives!! I would like the Grande Hamper to give to my dear friend and his son. His wife died unexpectedly in her sleep Friday night at the age of 44. Obviously a hamper would not be much, but it would be a nice token to know there being thought of. 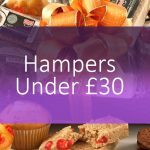 I’d love a hamper as a treat for the family to share! We’re always all so busy so would be nice to have this on a dedicated get-together day!! I would like to win the grande hamper prize draw as I am so seldom lucky when it comes to these things and I frequently purchase the hampers as gifts for friends. It would be excellent to try for myself and the hamper would be most gratefully received by myself and the family as a welcome acknowledgement as always putting others before ourselves. My wife is overdue a treat..and she likes indulgent treats.We have just celebrated 26 years together. She is kind,thoughtful,loving and giving to me and the children….and I would like nothing better than to treat her to this wonderful hamper. The Grande Hamper would be grand! I think I deserve to win the Grande hamper to give to my Mum as she is my main support network for my health issues and helping me with my disabled child. I honestly don’t know where I would be without her! Busy working mom of four kids, two labradors, two rabbits, one goldfish and a grumpy old man. I would love the chocolate hamper but the grande hamper really looks amazing. In particular I quite fancy the look of that marmalade and wine. I may share the rest with my crazy family!! The chocolate hamper, as it’s been a sad year. I would love to win the Grande Hamper. I have both sides of our extended family around over Christmas and this would really help with the budget and give everybody a treat. In life I’m fed up being hampered, I’d much rather be pampered, The Grande from Hampergifts provides the ultimate award-winning feast. Bulging with all things yummy, nutritious, delicious and sweet, it’s definitely an unbeatable treat. I live on the other side of the world and would like to send the Grande Hamper to my Parents. They have been having a tough time with their health this year and this would be a lovely boast to make their Christmas extra special. Hello, would love to win the hamper to give to my lovely Auntie Janet. Born with a rare blood disorder she has a very low-immune system and picks up illness quickly, therefore I think this would be a lovely treat to cheer her up. Everyone needs a bit of luxury in their life…..the Grande hamper would make my day. I would love to win a Grande Hamper . This year i was diagnosed with Breast Cancer and i have many other Health Ailments to deal with at the same time . I have a very positive attitude and will come through this as i have with all my other illnesses . It would be nice to have something to look forward to winning in the build up to Christmas. Not only would I deserve to win this, but my fiancé and mother in law would deserve to win this too. Both have been an absolute rock to me this year. They have both stuck by me and helped me I’m so many ways. If I were to win it I’d share it with them this Christmas. I would love to win the grande hamper for my husband. He has been ill all of this year & when we decided to take a holiday,he ended up in hospital for 10days. It was very stressful for us both & now he awaits many hospital tests. 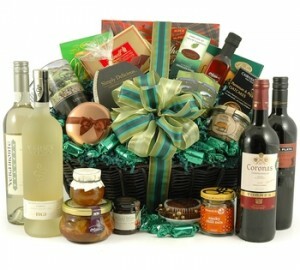 The hamper would really cheer him up & would be a lovely gift to celebrate our golden wedding anniversary. Oh, this would be fantastic. What a way to start the colder months. Love hamper gifts, love receiving the hampers and delving in to see what treats await me, then great to share out all the goodies. Its like receiving lots of presents in one box. I’d be very happy to win the Grande Hamper, as I’ve never had a Hamper before and this would make my family’s Christmas complete! There are so many items there that I’d love to taste! This hamper was meant for my wife and I, to celebrate a very special occasion. 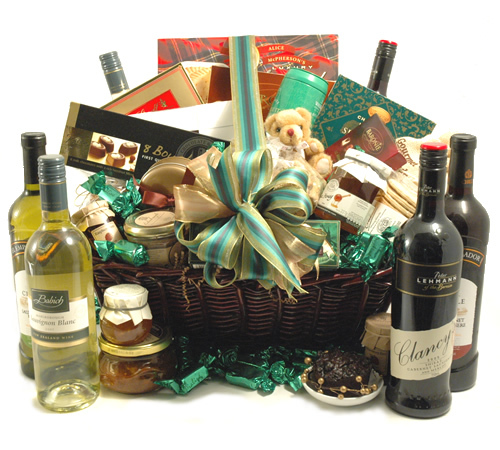 As we share our lived together with the good and bad, we would share this hamper and enjoy some quality time together. I would love to win a hamper simply because I have never had one given/sent to me before, even though I have sent a few. I would love a Christmas hamper to share with my family over the festive period. Your Noel Hamper looks lovely! My October looks set to be absolutely awful. If I won this hamper I’d arrange a get together with friends to celebrate the end of the month! I deserve it becasue i would give it away in my charitys christmas raffle as a great prize! I’d just love a hamper to share with my family as I always love to treat them and think this would be the perfect gift for everybody! I’d love the Gourmet Treats Hamper as I think there would be something for everybody in one! I would love the Grande Hamper – I don’t deserve it but my husband does because he works so hard. There are so many of his favourite treats in it he would be a very happy chappie! I deserve a hamper I think because I scrimp and scrape to make make sure my family get all that they need…which means I go without most of the time. I would also go for the Grande Hamper because it has a bit of everything…alcohol, sweet and savoury so something to suit everyone. I love this hamper! So many lovely things! I would give it to my mum who deserves it. She’s helped me out loads with my kids through some very tough times lately so she definitely deserves this! Please don’t give me a hamper, give one for my Mom. She’s spent most of August in a hospital. Thankfully, she’s well and back with us now, and I like to take every opportunity to treat or surprise her 🙂 I’m sure she’d love the Grande hamper. Grande Hamper as it looks brilliant, full of all the things I love. This would make fora happy home as we’ve had a lot of bad news just lately. The Deluxe Golden Towers Hamper for my wonderful children who have been ‘towers’ of strength to me since their father died suddenly 18 months ago. Despite them having my gorgeous grandchildren to care for they have been amazing in their support of me and each other. My grandchildren are my ‘golden’ rays of sunshine that keep me going when I’m feeling sad. This hamper would be shared among them as a special thank you from me and their father. I think i deserve the grande hamper because I can’t remember the last time I was treated, I work full time come home see to the little ones and all the house chores, I would be sure to make time for this gorgeous hamper I would feel the luckiest lady on this planet! Just moved into a new home and have invited extended family to celebrate christmas at mine this year, so the delicious christmas hamper would really be all i would ask santa for! I simply enjoy the pleasure & surprise of opening a hamper to see what is inside. I’d like to win Your Christmas splendor hamper, it’s really caught my eye, I promise you I’ll share it ’cause I’m that sort of guy! I don’t deserve the hamper but my mum does. She does so much for everyone so she deserves a treat! I’d love the Grande Hamper because it’s full of delicious treats which I would share with a very dear friend who travelled half way across the world to be with me. There is no way it is possible to choose which one I love best.they are all fantastic.now I know what it’s like when I ask my boys to choose in the sweet shop.like them I would love them all!!! I love the Grande hamper! It would make for a lovely Christmas feast of nibbles! Grande hamper for me please. An early Xmas present from you to me! have a taste for the good life. Grande hamper as it looks a wonderful gourmet selection, and fun for family Christmas! I would like the Grande Hamper, it looks absolutely amazing and would put the icing on the cake this Christmas. Why do I deserve it ? Why not !!! I deserve to win this as Im hosting Xmas for the family this year so it would be great to shower them with fine food and drink! I would love to be lucky enough to win the Grande Hamper. I would make a present of it to my parents, who haven’t enjoyed the best of health this year. It would be a Grande surprise for them and they would be so thrilled to receive it. I’d really love to win this hamper as I love trying new things and can’t always afford to. I’d love to share it with my family this christmas, to treat them and to help get them into trying new and exciting products! I don’t “deserve” a hamper more than anyone else but I’d love to win the Funky Scented Bath Gift as I have two small children so my evening soak in the bath is my relaxation time to think & read my book. I’d like the deluxe golden tower. It looks like a lot of fun! Well I think my fantastic hubby deserves it, we’ve been married nearly 4 years and he is so good to me I would love to give him a treat like this! So many lovely hampers to choose but as today is my 49th birthday I’m going to say the Grande hamper would be perfect! The wine and cheese hamper and the luxury picnic hamper look super as well! Love the luxury picnic hamper would love some time out as a family away from renovating our house. Wine & Cheese Feast looks lovely, this is the kind of hamper i would usually go for & i spotted my favourite cheese – snowdonian. I deserve the Grande Hamper because my 6 month old baby boy is still waking every 2 hours overnight & some nice food & drink would make it all more bearable!! I would love to win the Grande Hamper as I had my baby boy 4 weeks ago today and am too sleep deprived to do any cooking so this would help me to get something decent to eat. I would love the Wine & Cheese Feast hamper because both remind me of good Christmas meals with my family. Grande Hamper looks wonderful and as I work really hard I think it deserves to be won by me! I would love to win this hamper for my darling wife, who runs and cleans the house till it’s spotless, and does a great deal of the gardening, all to make my work/life balance so much easier! Because my aunts love a glass of wine & we always enjoy trying new nibbles. I am a niece who likes to spoil them. I would love the Grande Hamper for me and my family to share. My OH has his leg in plaster and is getting a bit fed up and would love a treat and I have been looking after him and think I deserve a little treat too. I would would donate this to my self!! I work hard as a nurse so would love to win this! 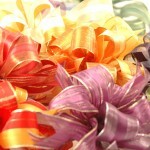 Congratulations Hampergifts on turning 10 and Many Many Happy Returns !! I may not deserve to win a Grande Hamper but the ‘Saints’ who look after me every day DO !! They will be here every day over the Festive Period and I’d love to be able to share something nice with them,and this Hamper has Something-For-All-Tastes !! Who wouldn’t love an extra treat.. I really like the Gourmet Treats Wine Hamper. The contents are up my street. Not sure I want to give a reason why as I don’t want to give a sob story! I would like the Grande and I deserve because……well, just because. I would choose the Deluxe Golden Tower Hamper as I have a Sweet Tooth and this would allow me to truly indulge! I deserve to win a Grande Hamper as its been a couple of Years of tightening my belt and working in part-time and temporary jobs for little money, worse off than if I had been on Unemployment Benefit! as I was advised having a job gets you another job, as it showed I was willing to work. it paid off this July as I finally got a permanent job and I love everything about it; colleagues, location, the money as well as what the job entails in itself. 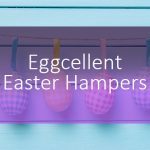 This Hamper would be the finishing touch, a treat to myself for persevering – plus its big enough to share with those who encouraged me along the way. I’d like to win this for my family, we’ve never had a hamper of anything ever, and this would be a real experience and a treat with so many luxury products. I’d love to give this to my man, he deserves a treat because he looks after me and he’s kind. I deserve the Grande Hamper because I will share it with all my friends and family and spread the joy. The Grande Hamper is my favourite as it has such a diverse selection of food and drink. I would love to win so that I can treat the family to some fine dining at Christmas. I am expecting my Swiss cousins over soon and I’m sure they would appreciate the lovely gourmet foods in this hamper. i’d love the grande hamper, such lovely items would be lovely to sample them! Would be a delightful Hamper for myself and Grandmother to enjoy together during this Autumn Season With some Whisky Marmalade to smother our toast with in the morning,Pecan & Maple Syrup cookies for a mid morning snack with a cup of coffee. Later in the day an afternoon English tea with some rich fruit cake and shortbread. We would save the award winning vino for a Saturday “Strictly” Night with some tasty crackers and pate and a smear of Plum,Pear & Apple Jam and olives on the side. But ! the Belgian selection of chocolates would be devoured very quickly in this house, so would love to #Win this Sublime Food & Drink Hamper full of award winning treats. The Grande Hamper has everything I like in it – and I would share it with my family so I’m a good Mum! I think I deserve this hamper, because I do and that’s the end of it. No argument! I would love to celebrate my birthday with a Chocolate hamper. I’m a widow living alone but am having 13 extra people for Christmas and Boxing Day. This hamper would give so many treats to lots of people at this very special time of the year. I deserve the Grande Hamper because I am a caring and sharing kind of person and would not eat and drink it all by myself but have a get-together with friends and family to enjoy it. I’d love the Grande Hamper. It’s my wife who deserves it. She works every day, getting up at 5:15 – not easy these dark mornings – and goes to work. She’s had to since I retired early on ill-health. She deserves a treat. I would love to be the lucky recipient of the Grande Hamper. It would give me great pleasure to be able to share it with friends and family. I don’t know if that really justifies me receiving! It’s hard to choose, I love chocolate but I know that wines and beers would make a wonderful Christmas gift for my in-law family. I’d love to win it because it’s been a tough couple of years without being able to go visit my family and it’d be nice to feel good about winning something and then being able to share it. i’m a hard working mum and think i deserve a treat in time for christmas. i would love the the Grande Hamper. looks amazing, I would give it to my uncle who struggles to buy anything nice to eat and lives very basic it would be a fantastic treat for him and something he would really enjoy. I would love the Grande Hamper as it is full of delicious products. Not sure if I really deserve it but like to think I am a good person.